This is front side of practical textile bag made of dense cotton. It is useful accessory for everyday life. But it is also pretty work piece because of Bright birdie embroidery design used for its decoration. It looks like pencil sketch made by talented and famous painter. Picture is ready now: author just need to remove it from hoop and iron. This is piece of fabric decorated with pretty embroidery sample. This work is executed by Jennifer Jean Burgess. She chose Puppies photo stitch free embroidery for this work piece. It looks like pencil sketch on dense paper. It is really difficult to believe that it is not painting but embroidery. Now she plan to use ready sample as element of whole thing. This is pretty interior cushion which also can be used for comfortable sleeping. Its surface is covered with soft pimples which pleasantly massage your skin. But one more little detail was needed to complete this work piece’s look. It is Sassy mouse and cat free machine embroidery design. It is funny picture shows little brave mouse walking at cat’s body. This is amazing design on motives of wild nature. There is figure of strong and beautiful horse which seems to be ready to run very fast to distant land. This picture looks like painted by thin black pencil. Only when you look at it from short distance you may see that it is embroidery. In fact there are only some stains to show horse’s silhouette. This is beautiful gift filled by love and warm feelings to its addressee. It is prepared by goddaughter to please her godmother. It is shown by beautiful inscription made by golden thread. Composition is added by elegant Peony and chamomile 2 embroidery design. This picture reminds pencil sketch of great master which shows his perfect skills in such little picture. 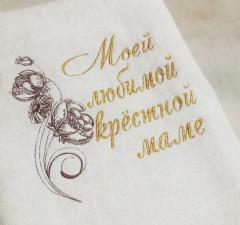 This is set of pretty embroidered handkerchiefs made by Mellonie Adams of thin soft cotton. They have different colors of fabric and are embellished by same sample. 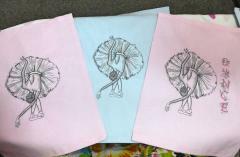 It is Graceful ballet dance sketch embroidery design. Due to this elegant picture made in monochrome color scheme all these things become dinky accessories. You may use it to keep with you during the day or to decorate your meal for special event. This is elegant and graceful picture made by Mellonie Adams which evokes associations with high art. It looks like pencil sketch made by famous painter. Due to monochrome color scheme it seems to be strict and easy but very interesting. 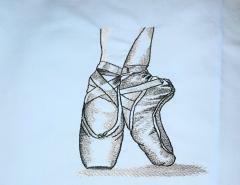 It is not difficult to repeat it for your work piece: just use Pointe work embroidery design. You may put this picture into frame to embellish your home. 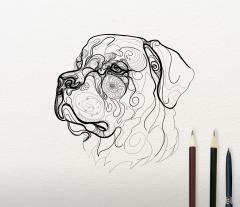 This picture is almost ready portrait of Rottweiler. Face of strong and gorgeous dog is completed but author still need to finish its neck and ears. Image will be created by many little element looks like details of mosaic. Together they make realistic dog’s muzzle. It seems to be looking somewhere far. In spite of schematic manner this picture perfectly conveys all its features. This picture perfectly shows all complexity of work on original and well elaborated embroidery sample. 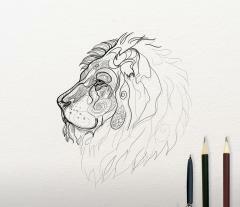 Main idea is clear here: it will be portrait of animals’ king. We see fluffy head of gorgeous lion shown in profile. Only its face is already done while mane on its neck still need more work. But you can be sure it will be original and beautiful sample. This picture is sketch which will be base for future embroidery sample. 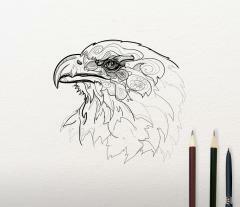 Here you may see profile portrait of gorgeous eagle looking somewhere far. Its face is composition made of many little elements. Together they create unique ornament which looks very well elaborated. Picture is not finished yet but all main features of this nice graphic portrait are already clear. This nice pencil case will definitely be subject of envy of all classmates. 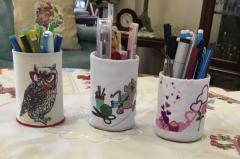 It is suitable for girl or young lady who wants to keep her pens and pencils in order. Breathtaking look embroidery design is beautiful picture which will be loved by each girl. It is because impressive color scheme, amazing make up and even little butterflies around. This sample makes pencil case memorable and original. Polar owl is the bird which must have the very sharp vision to see the small prey on the white snow. But the bird on this Polar owl in glasses embroidery design doesn't see very well: that’s why it needs to wear glasses to survive in severe conditions of wild nature. Ok, it’s the joke but this owl is definitely need these glasses — because it looks very good with it. Naïve art is the separate genre or painting which has many fans all over the world. If you also think that this manner has something attractive and like to look at the pictures made by children you may choose this Cute kitty free embroidery design: small disheveled kitty with the comb in little teeth. You even can give it the name and embroider it near the image — to make it absolutely unique. There is the original textile souvenir which can be one of the most noticeable details of schoolchild’s room interior. It is the simple glass for pencils and pen which become the interesting accessory due to Polar owl in glasses embroidery design. This laconic embroidered picture executed with just two main colors look very organically on the simple white background of the work piece. The red color of owl’s glasses and bow is supported by the border at the bottom.